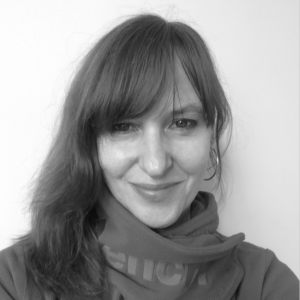 Bernadette Cronin is a founder-member of GAITKRASH Theatre Company and works nationally and internationally as a performer and workshop leader (most recently in Shanghai and Huddersfield). She is a Designated Linklater Voice Teacher and a qualified yoga instructor (traditional Ashtanga / Hatha Yoga). She has trained with international voice experts Kristin Linklater and Margaret Pikes (Roy Harte School), and with actor trainers Phillip Zarrilli and David Zinder. She holds a PhD (in contemporary post-dramatic theatre) from the University of Exeter, and publishes in the areas of adaptation and theatre practice. Recent roles and performances include W1 in Beckett’s Play and May in Footfalls, Solange in Playing the Maids and Woman in On an Island. She teaches voice, text, and adaptation in the Department of Theatre at UCC.